HOME.. .PARTY IDEAS.. .ECARDS. 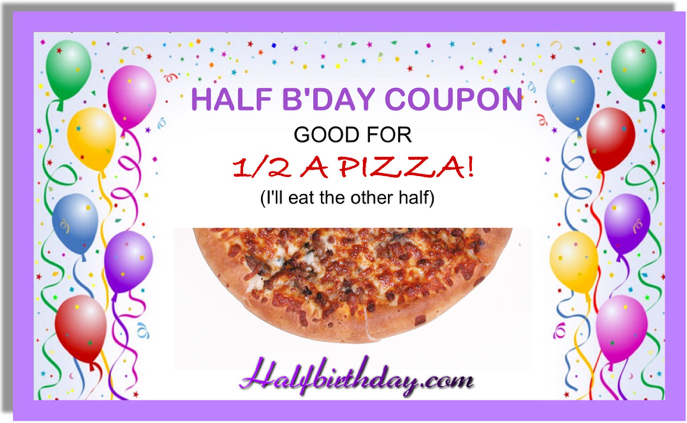 ..BABY GIFTS.. .
Halfbirthday.com is your online hub for half birthday party ideas, gifts, ecards, evites, treats, recipes, happenings, and more! What is a half birthday? "When is my Half Birthday?" 1. Babies! 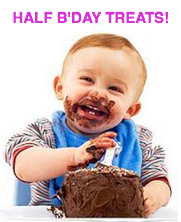 For them, and their parents, a half birthday is huge. Six months, one-and-a-half, two-and-a-half, three-and-a-half...these are big milestones in their little lives. So let's party! 2. Your lover. They expect you to make a fuss on their regular birthday. How anticlimactic. Surprise them with a half birthday gift or bash. You can't lose! 3. 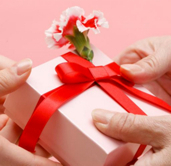 Unlucky people who have birthdays during the holidays. All but forgotten. No more. Make them feel way special on their half birthday. 4. School kids whose birthdays are in the summer. Bummer! 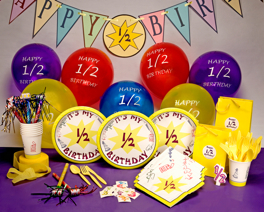 Honor them with a half birthday party in class. They'll be thrilled. 6 Mos. Old: Where's the Party? 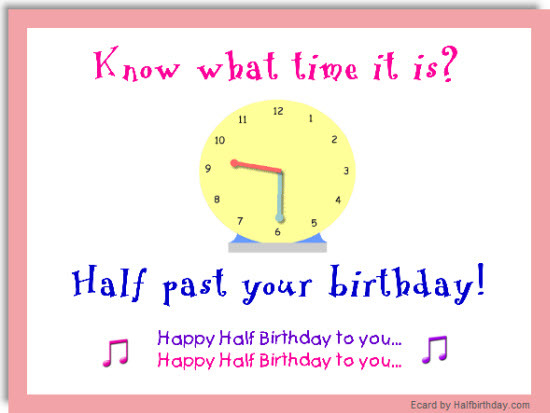 Are You a Half Birthday Hater? 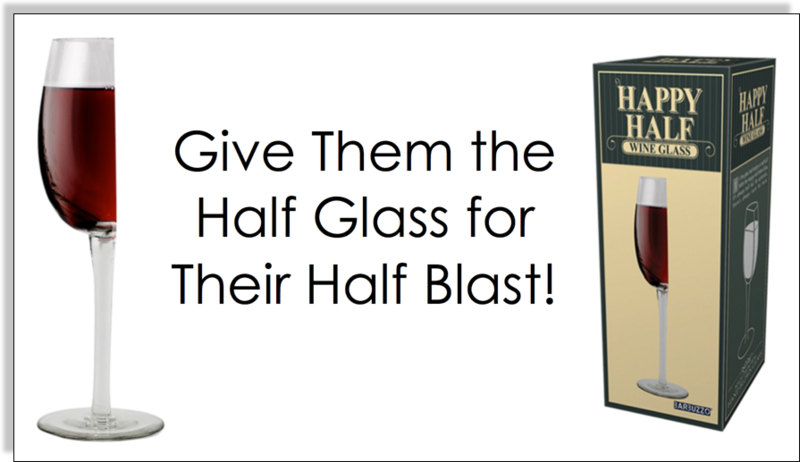 You can get them in classic party kits or order them a la carte. Either way, they'll be thrilled. Order yours today! Email a quick link to this site to a friend. DO THE 1/2 B'DAY SWITCHEROO! 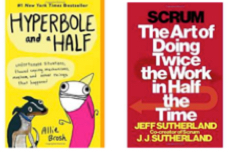 Half Themed Books Make Fun Half B'day Gifts! Copyright 2017 Halfbirthday.com All Rights Reserved. Website designed, written and developed by Jerry McTigue.